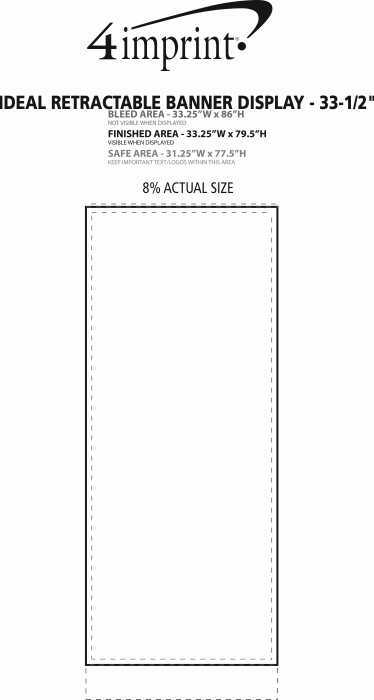 Ideal Retractable Banner - 33-1/2"
Use these ideal promoters to catch their attention! Create an eye-catching backdrop for any event with these custom banners! 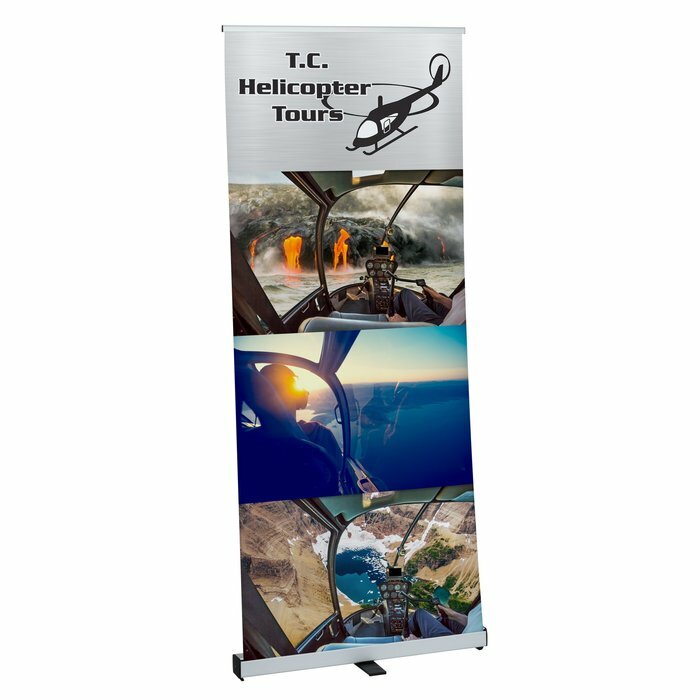 Get a bang for your buck with these promotional banners that are suited for short-term events and limited-time promotions. Retractable banners are easy to set up, allowing you to spend more time with potential customers. Kits include a swivel-foot base, a three-section shock-cord pole and a tear-resistant, polypropylene banner. Secure the banner by placing the shock-cord pole into the designated ports. When not in use, the shock-cord pole stows away into the base. Banners include a carrying case for easier transport. Size: 209 x 89 x 26mm (82-3/8" x 34-1/4" x 10-1/4"). Your price includes a full colour imprint on the banner.